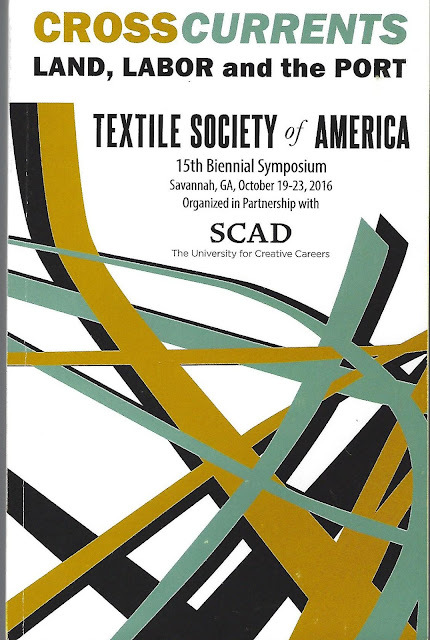 This year TSA partnered with SCAD-Savannah College of Art and Design- to present an exploration of the cultural crosscurrents that shape textile production and practice. More than 400 TSA members from 22 countries attended the 5 day symposium held in Savannah, Georgia. From the opening reception at SCAD Museum of Art to the closing awards banquet the days were filled with seminars, site visits and tours. Independent researchers and historians, like myself, who are not affiliated with large institutions or museums feel, at times, isolated from others in our field. Frequently, we are not always in the immediate loop of the most current information available. Seminars such as this are the perfect opportunity to confer with colleagues and renew connections. The wide scope of areas of textile studies was examined in seminars and study sessions. Topics included fibers and their production, technique of fabric manufacture, fashion, costume, dyes and design, museum studies and collections. This year also emphasized what was termed “cross-currents”. That is, the importance of trade, historically and currently. The world is not so very large and the “transnational flow of textiles” as a result of global trading explains much of the history of textiles and continues to be a major factor in today’s world economy. The host city of Savannah was a most exciting venue for the symposium. 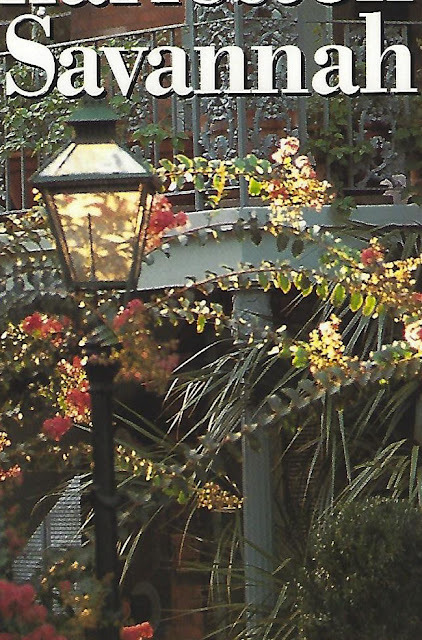 Culturally, historically and down-right lovely it is well worth visiting. I regret that I could not have stayed longer and, although this was not my first visit, it will definitely not be my last. For more information about the Textile Society of America, including membership and additional programs, please visit their website http://textilesocietyofamerica.org.